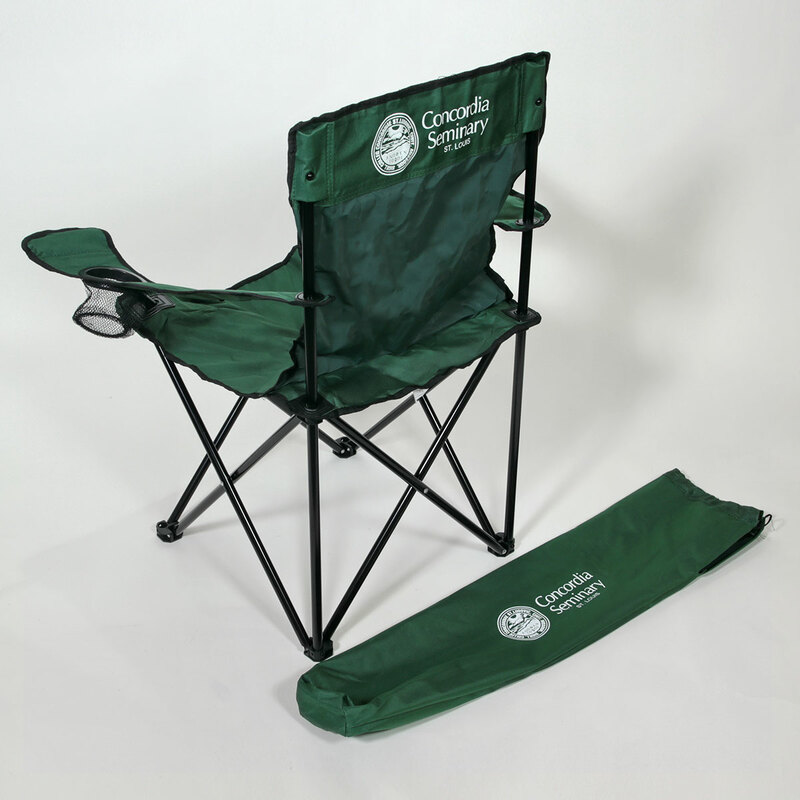 Concordia Seminary forest green bag chair with logo imprint on both the back of the chair and the carrying bag. Located at the heart of the campus in Lange Hall, the Campus Store is a place to get a cup of coffee or a bite to eat, and mingle with students, faculty, staff and guests. 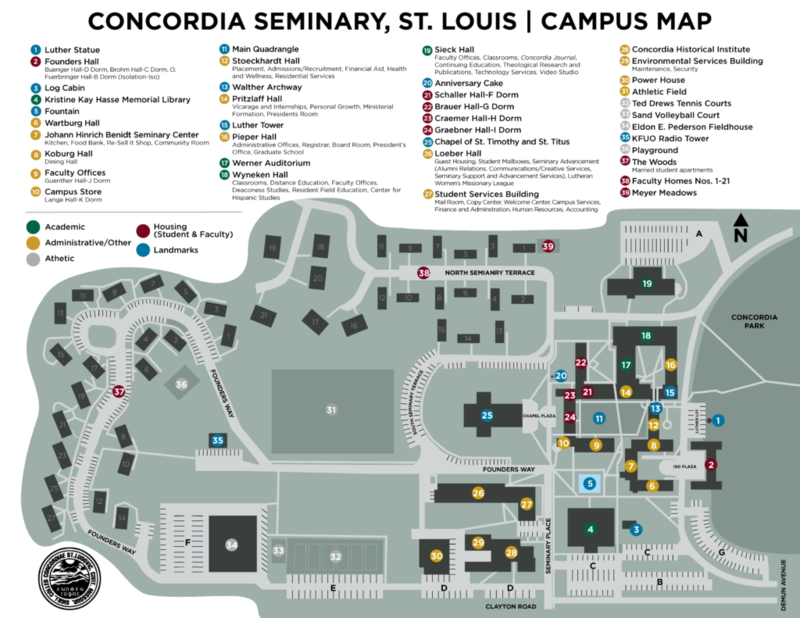 Find books written by our Concordia Seminary faculty, faith-centered greeting cards, logo clothing and gifts, and more. We’re also able to special order T-shirts for your campus, church or school events.